Nothing beats eating prawns and drinking white wine on a glorious autumn day overlooking Darling Harbour and this past weekend was the perfect weekend for that. 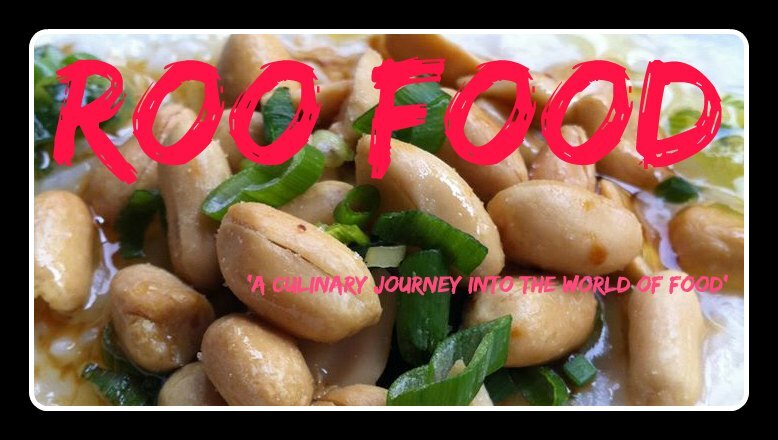 Occassionally I take advantage of the many online vouchers available and there is one particular deal that I have purchased a number of times. 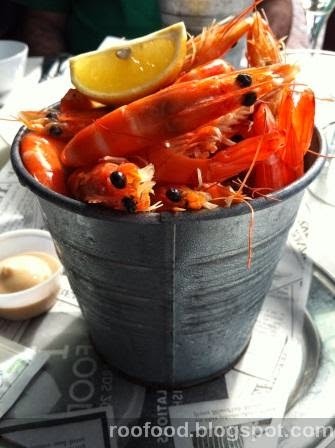 It's a prawn and wine deal at Blue Fish at Darling Harbour - see previous post here. 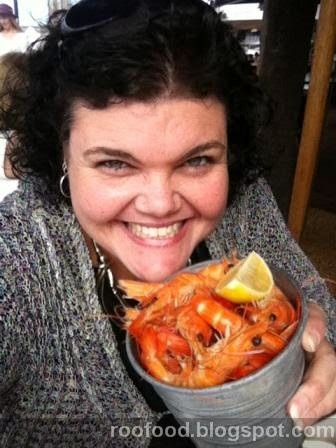 Two buckets of prawns and a bottle of wine for $33 (normally $85). I think this is a fabulous deal and a great way to have a leisurely afternoon. 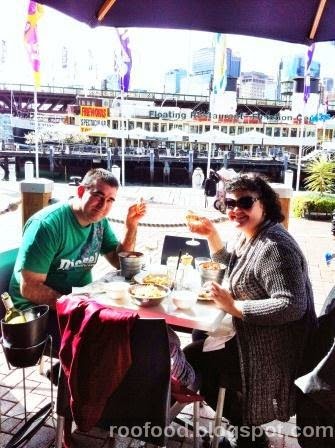 We arrived and were seated outside under the umbrella overlooking the South Steyne (the ferry boat restaurant). 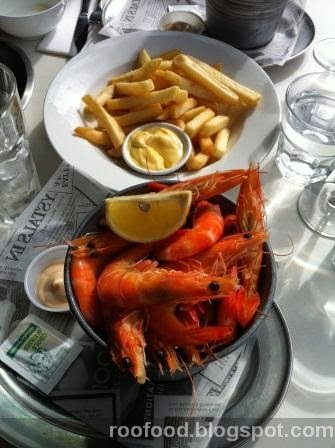 We opted for a bottle of the De Bortoli Willowglen Semillion Sauvignon Blanc and a bowl of chips to go with our prawns. 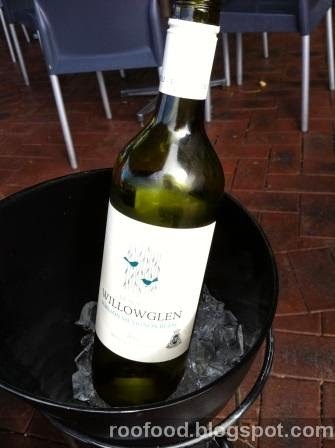 Our bottle of wine is served table side in a bucket of ice ready for us to fill our glasses when needed. 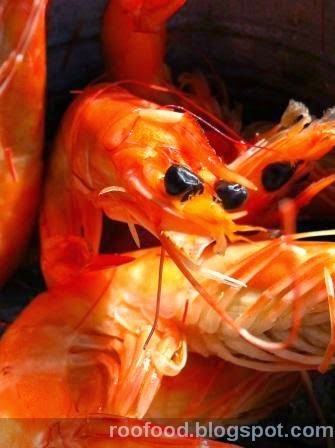 Today's prawns are briny and tender and bloody good. But I ALWAYS forget to ask where the prawns are from. ALWAYS! Surprisingly the service is more efficient today. In the past it has always been slow and lazy and quite often found us asking for cutlery, napkins or finger bowls. Today we didn't have to ask for anything and it was fast and on form. yay. We spent a good couple of hours lazing in the sun, sharing our bottle of wine and chattering away enjoying each others company and people watching. Even bumped into a friend and her family at the restaurant who were celebrating Mother's Day a day early and haven't seen for many years.